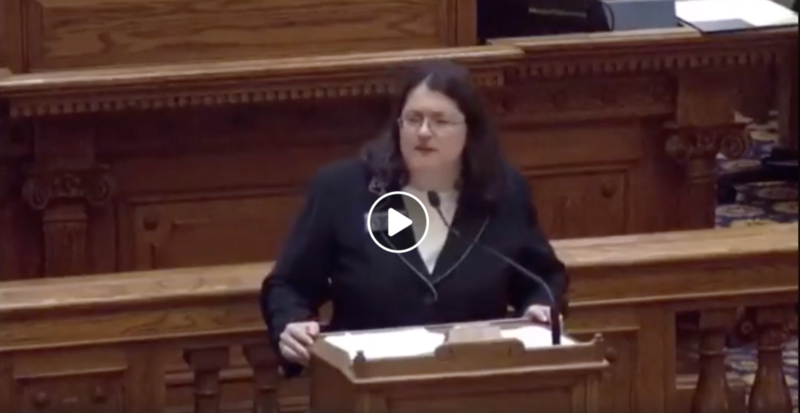 As record-setting numbers of women took their legislative oaths of office under Georgia’s Gold Dome last week, the pale male Republican leadership flexed their misogynistic muscle to remind women they were still in charge. It’s a long-standing tradition whether the men in charge are Democrats or Republicans. Esteemed longtime Georgia political observer Bill Shipp, now retired, wrote a column in November 2001, when WIN List was young and Democrats held a firm grasp on the reigns of state power. “The Georgia Legislature doesn’t require women to wear chadors, but it might as well. If you want to find a demographic group that has been mistreated, shut out and generally scorned in elective state government, forget race. Think women… maybe you shouldn’t call their treatment misogynistic, yet it comes close,” Shipp said. Those were powerful words from a revered male columnist who hailed from the same generation as the state political leaders he “almost” called misogynistic. Certainly, at the time, many women did use the “M-word” to describe their treatment by powerful male colleagues. Then, as now, racial issues in the General Assembly abound even though Shipp’s 1991 column brushed them aside. It is worth noting Shipp began his journalism career as a crusading Red & Black student editor who in 1953 wrote powerfully to support the admission of a black student to the University of Georgia law school at a time when the state’s mainstream media was not supportive. In 1991, as now, black men are often higher on the Gold Dome’s power “pecking order” than women. Generally, all women of color are treated less favorably than white women. To be entirely fair, any conversation about power intertwines with separate threads about seniority, party and past political battles. The percentage of women in the General Assembly for 2001 was 20.9 percent and now the number is 30.9 percent. Georgia’s percentage of women is higher than the percentage of women in Congress and the percentage of women legislators nationwide, giving the state a ranking of 19th in the nation. Last week’s first order of business for Georgia senators was passage of a new rule to greatly limit the time frame during which sexual harassment complaints against Senators or staff could be filed. The new rules passed quickly despite Democratic objections, especially from WIN List endorsed women. Senator Zahra Karinshak later spoke to explain the new Republican rules were actually more limiting than a first read made them seem. When Senate committee assignments were released, women were marginalized further, but in a bipartisan way. 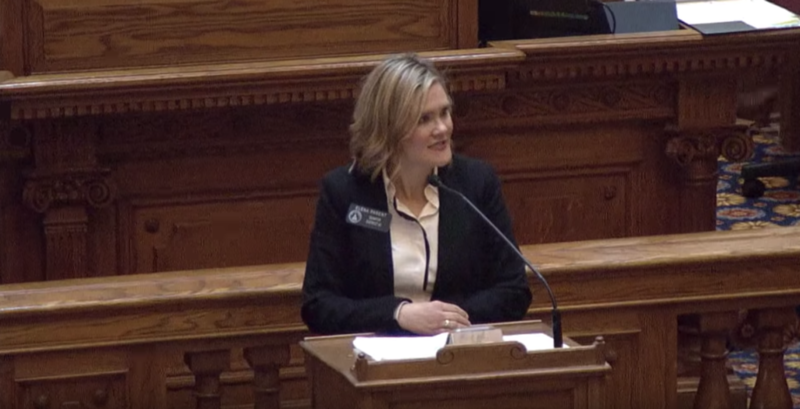 One of the two Republican women in the chamber, Renee Unterman of Buford, was removed from chairmanship of the Health and Human Services committee, a post she had held for six years. Instead, she was named chair of the Science and Technology Committee, which was assigned just three bills last term as compared to the 121 bills assigned to the far more powerful Health and Human Services Committee. Senate Committee appointments are made by a committee of all white male GOP leaders, who when announcing the appointments asserted they were boldly “doubling” the number of women committee chairs and “historically” allowing Democrats to chair two committees in a demonstration of bipartisanship. Marginalization is a powerful tool in the practice of misogyny. In the roster of 27 Senate committees, each of the 56 Senators is assigned to four committees. The workload of different committees is not equal and only a few committees exert real power. Women are underrepresented on eight of the nine most powerful committees and overrepresented on the remaining less powerful committees Senator Elena Parent says. With 13 Democratic and two Republican women in the senate, women comprise 28 percent of the 56 member Senate. Yet, according to Senator Parent, there are no women on the powerful Regulated Industries Committee and only one women appointed to each of the three other most powerful committees: Transportation, Finance and Judiciary. Parent, who graduated in the top ten percent of her class from the University of Virginia Law School, is the only woman on the Judiciary Committee. It is the Judiciary Committee which demonstrates perhaps the most obvious example of misogyny towards women. Last year, the Georgia Bar Association expressed concern because the number of attorneys serving in the General Assembly had dropped dramatically over the years. They cited, as one example of concern, the fact that the Senate did not have enough attorneys to fill each position on the then 12-member Judiciary Committee. For 2019, the committee was reduced to a roster of 10 and two of those ten appointments – one from each party – are men who are not attorneys. Ignored in this committee size reduction are two newly elected Democratic women attorneys with stellar academic and career accomplishments which far exceed those for most of the seven male attorneys appointed to the Judiciary Committee. Senators Jen Jordan and Zahara Karinshak graduated from law school with honors, have clerked for federal judges, have been named “Super Lawyers” and currently serve on the state bar’s board of governors. Senator Jordan has won numerous multi-million dollar verdicts and was first elected during a 2017 special election which overturned the Senate GOP supermajority. Senator Karinshak, an Air Force Academy graduate with distinguished military service, is an Emory Law graduate who served as deputy general counsel for former Governor Roy Barnes. She served eight years as a federal prosecutor before being named partner in her law firm to specialize in whistleblower cases. Senator Jordan was named Chair of Special Judiciary and Senator Karinshak was appointed to the committee. But it turns out the committee is not really so “special.” Last term, the Judiciary Committee was assigned 135 bills. Special Judiciary? Only six. Appointments to the 38 House Committees were announced on Friday. While some of the newly-elected women received appointments to committees they requested, others – particularly those who defeated Republican incumbents in districts the GOP hopes to retake – did not. Generally, newly-elected male representatives received more favorable treatment for preferred committee appointments. Of the 39 Committees in the House, six have women as chairs. However, only one of the committees chaired by a woman is considered powerful – the Health and Human Services Committee chaired by Sharon Cooper. The MARTOC Committee chaired by Deborah Silcox certainly has an impact on metro Atlanta police. But, it is quite fair to say both Republican and Democratic women in the House, like their colleagues in the Senate, are less likely to serve on the most powerful committees and disproportionately represented on the middle tier and least powerful committees. Republicans are quick to use the selection of Rep. Jan Jones as Speaker Pro Tempore as an indication they are willing to share power with women. However, Rep. Jones and her 14 female GOP colleagues (compared to a total of 43 Democratic women in the House) are far more likely to “tow the GOP party line” rather than side with women on the other side of the aisle even about issues such as measures to insure women receive equal pay for equal work. All Georgians lose when the talents and skills of women elected in record-setting numbers are ignored and marginalized. 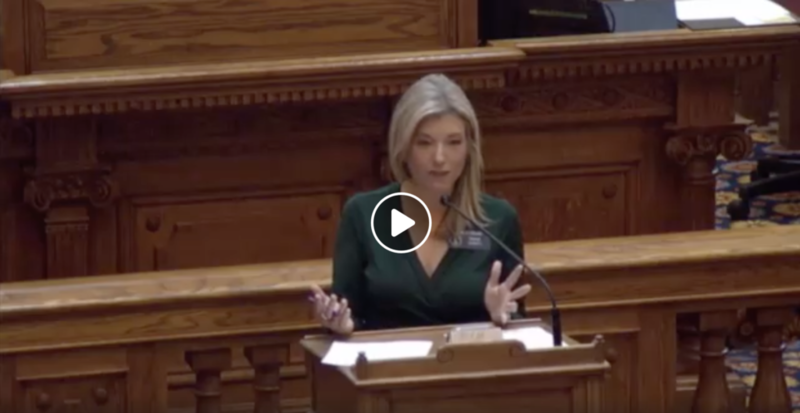 With their treatment of women who serve alongside them, the Republicans holding power in the General Assembly are likely to inspire even more women to run against them in 2020. Savvy, politically active women have learned the ballot box is a powerful tool. Sometimes, the sweetest revenge is not “getting mad,” but truly getting even by defeating men who hold elected office.